Exclusive Interview: Filmmaker Mac Schonher shares details on his new Instagram Web Series, " Hero Named Rush"
Hero Named Rush is a new micro-series written specifically for Instagram, about Arthur Kang, an average New Yorker, who suddenly and mysteriously acquires super speed. The world of digital video series doesn’t end with Amazon and Netflix original offerings, nor even with all of “Seinfeld” appearing on Hulu. In recent years, the quality and quantity of indie web series has skyrocketed, and there’s no limit to the brilliant entertainment you can find on Youtube, Vimeo, and even Facebook Video. Now Instagram has joined the 'Rat Race'. 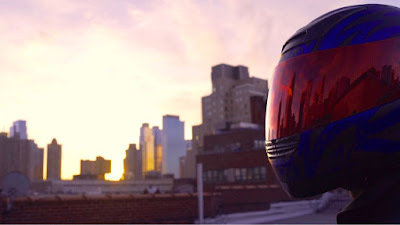 To get a taste of all the web series the world has to offer, we checked out, the newest Instagram addition "Hero Named Rush" and were so impressed by the series that we just had to sit down a speak with the series creator Mac Schonher . hero be an average person and how an average person would react to getting super speed. overall outreach and impressions that a creator may have in upcoming months and years. How was producing a web series different than your previous projects? life changing happen to him, and he’s just trying to make the best of it. American superhero in an episodic series! When did your love of comic book heroes begin? gain a deeper understanding of their stories. Parting words for someone starting out as a web creator. web creator, you also have the power to make that choice. "Hero Named Rush" is streaming now at Instagram !